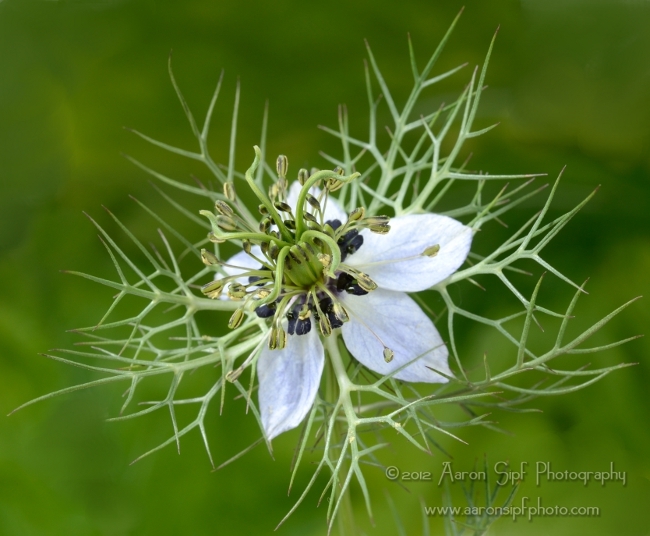 Although cultivated, this is also an intensely beautiful and unique wildflower, One of my favorites. 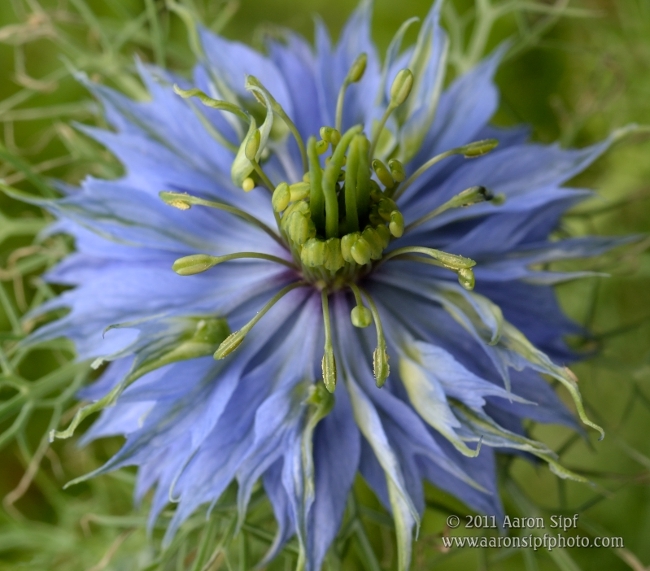 Love-in-a-mist. Damigella scapigliata.